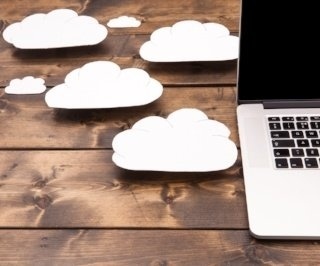 Cloud IT makes your data safer than it could ever be using on-site IT. It’s hard to overstate the importance of data security. Simply put, your files are your practice, and protecting them is crucial. Applying security patches, updating virus definitions, and maintaining firewalls in-house is time-consuming and error-prone. Therefore, more and more firms are turning to Cloud IT to access an otherwise inaccessible level of protection. Cloud IT places your data in the care of globally-recognized facilities that have power redundancy, fire suppression, and 24-7 physical security. Best of all, specialists test, monitor, and upgrade all software to provide the most up-to-date, secure systems. This level of data defense is simply not possible with in-house systems. Your data is significantly safer in a professionally-managed Cloud solution than housed in your office. You have time-sensitive work. Nothing is more frustrating than interruptions when deadlines are looming. Cloud IT allows you to get your work done, uninterrupted. Traditional systems are often an ad hoc collection of software running on aging equipment, which is susceptible to malware, breakage, and slow performance. These issues are a constant threat to keeping your firm up and running. In the Cloud, your IT network is engineered for consistency and reliability. World-class data centres give you high uptime, superior virus protection, and stable, standardized systems. In addition, your data is monitored and maintained by a team of IT experts. This means that your time sensitive work can get done without annoying and costly downtime. Eschewing costly upgrades, annoying downtime, and security concerns can easily become a reality for your firm. Most law firms would be content to admit that Cloud IT improves their operations with just one of those benefits. With all three, including the peace of mind that your IT is taken care of by professionals, it’s plain to see that Cloud IT makes law firms run better. If your firm has owned and managed server equipment in-house, you likely know the feeling of being on an upgrade treadmill. Every four or five years you must once again outlay tens of thousands of dollars in capital for new IT equipment. And with traditional IT, you also risk the surprise costs associated with breakages and expanding capacity. With Cloud IT, you don’t have to invest in servers. You pay a monthly fee, and everything you need is included. All IT infrastructure is owned and managed by your Cloud provider, while you retain ownership of your data. All you need is a connection and a device, and the rest is taken care of. This means that Cloud IT clarifies your costs, and eliminates financial risk associated with surprise fixes and inevitable upgrades. A clear, predictable cost is a refreshing change for law firms that switch from on-site to Cloud IT. Don’t let familiarity with on-site IT trump a better solution for your law firm.